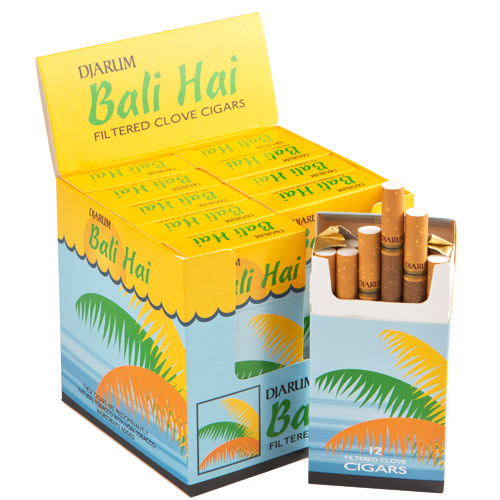 Djarum Bali Hai Filtered Cigars (12) are machine-made little cigars, proudly manufactured in Indonesia since 1951. Called 'kretek' by locals (referring to the crackling 'kretek kretek' sound they make when burning), their unique blend of tobacco and clove offers a satisfying, inimitable experience for the adventurous smoker. Djarum little cigars are offered in an array of blends and flavors, but one thing is for sure: you'll never forget your first.